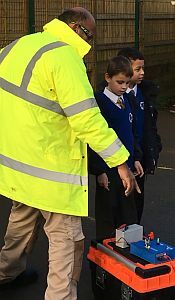 We were delighted to be able to offer Years 5 and 6 a great design technology opportunity while introducing them to a really exciting record breaking challenge. The Bloodhound Project centres on BLOODHOUND SSC, a supersonic car designed not only to go faster than the speed of sound (supersonic) but to a speed of over 1,000 miles per hour! It’s aim is to cover a mile in just 3.6 seconds! 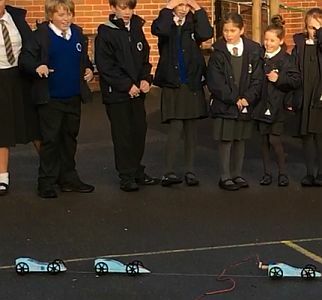 Our pupils were invited to join the adventure by taking part in an International Challenge to design, build and race a model rocket-powered car and become a Guinness World Record holder! The winners, named below, will have their team names painted on the tail fin of the actual car in the land speed record attempt.